Miranda house, one of the premiere institute for women produced famous personalities who had reached to the top level levels in their respective fields. The students of Miranda house are versatile and not limited to one section, there are famous politicians, Authors, journalists and model turned actresses from Miranda house, Delhi. 1. Anita Pratap hailing originally from Kerela, she is a famous TV and Print Journalist and first Indian to win first Indian to win the George Polk Award. 2. Anita Kaul Basu a Media Personality, and is the Managing Director of Big Synergy, she was born in Srinagar, Kashmir and her schooling was in England. She did her graduation in BA (Hons) in English Literature from Miranda House, Delhi University in 1975 and then post graduation in mass communication. 3. 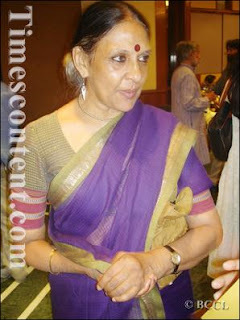 Anuradha Kapoor, the Director of National School of Drama and is a Professor of Acting and Direction. She also directed famous documentaries and plays, Salidaa being one of them. 4. Anupa Lal -A famous Painter was a student of Miranda house. 5. 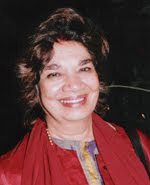 Aruna Vasudev -A Film Critic and historian. She is also founder president of the Network for Promotion of Asian Cinema (NETPAC). 6. Jaya Jaitley, a famous political leader Political Leader and mother in law of cricket player Ajay Jadeja.She was former president of Samata party. 7. Manju Kapur Dalmia -An Author and professor of English literature, her famous books are Married women, Difficult Daughters, Home. 8. Marie Verghese a faous athelete represented India. 9. Madhu Kishwar a Social Activist. 10. 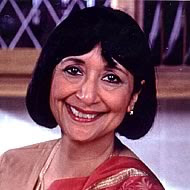 Madhur Jaffrey A multitalented lady from Miranda House is a director, producer, Actress and Author of many cookbooks. 11. 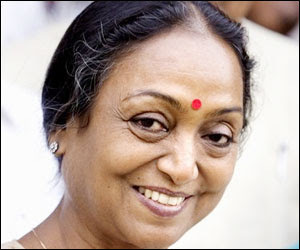 Meira Kumar -A Political Leader and daughter of Late Jagjivan Ram, at present sge is an MP from Sasaram a lok sabha constituency of Bihar and is the first lady speaker of Lok Sabha. 12. Mira Nair - A famous Film maker hails from Miranda House, she directed many movies some of them are Monsoon wedding, Kamasutra A tale of love, Salaam Bombay which was nominated for an Oscar for best foreign language film, Namesake, Missisippi Masala and many more. 17. Shovana Narayan - Kathak Dancer and Bureaucrat. There are many actresses and models like Minisha Lamba, Malika Sherawat, Shilpa Shukla which was from Mirinda House.